I got the Sonic Mega Collection back in the day, and played up to some treasure digging level in Sonic Adventure 2 Battle. 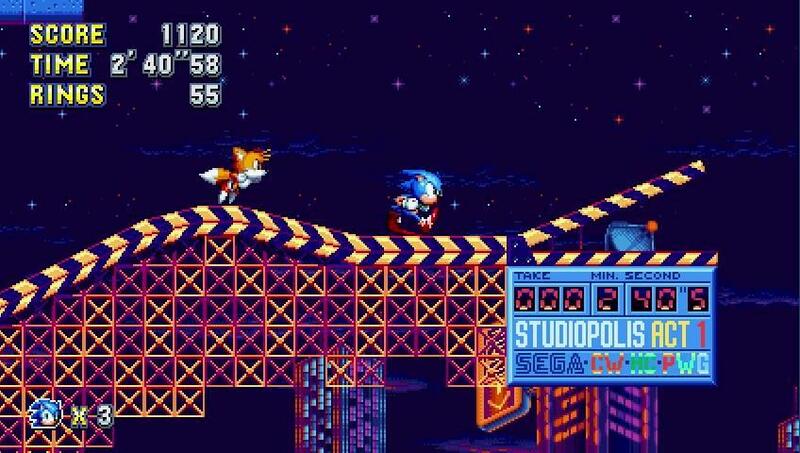 Oh, and of course I can’t forget about Sonic Riders. 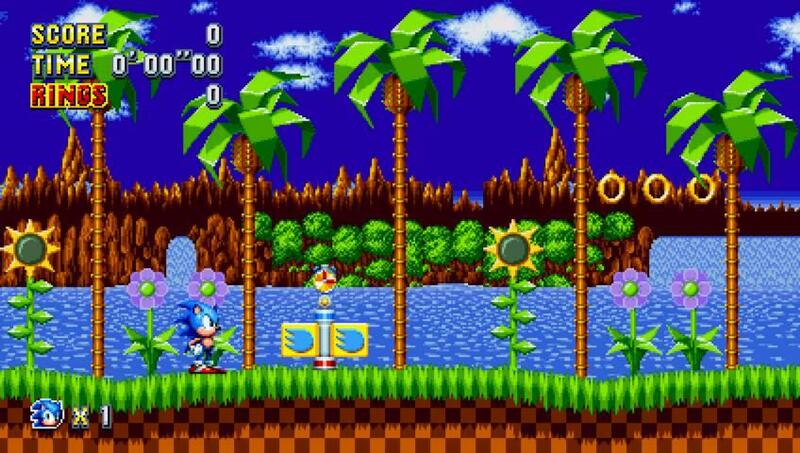 But throughout the course of Sonic Mania, I realized that I never really knew what it was like to play a Sonic game. I say all this about my times with some of the most recent and notable (and given how these games were received, that’s certainly a loaded term) Sonic games because, over the past couple of decades, the franchise has gone through an identity crisis. Growing up with something can have a significant impact on the way one views the evolution of that over the years. I could go off on a tangent about how one certain franchise is making a comeback in the form of pandering to its audience and not really being able to stand on its own, but I won’t. Although we’ve seen our fair share of the mess that is Sonic over the last decade, we have also seen some gems. Starting with Sonic the Hedgehog 4, and more or less ending with Sonic Generations, we’ve seen that Sega understands, to an extent, of what makes Sonic games work. It’s this thing called momentum. And that’s pretty much it. Sure, level design factors in as well. Whether it’s background staging or enemy placement, and also boss fights. But it’s when Sonic is streamlined that he works best. 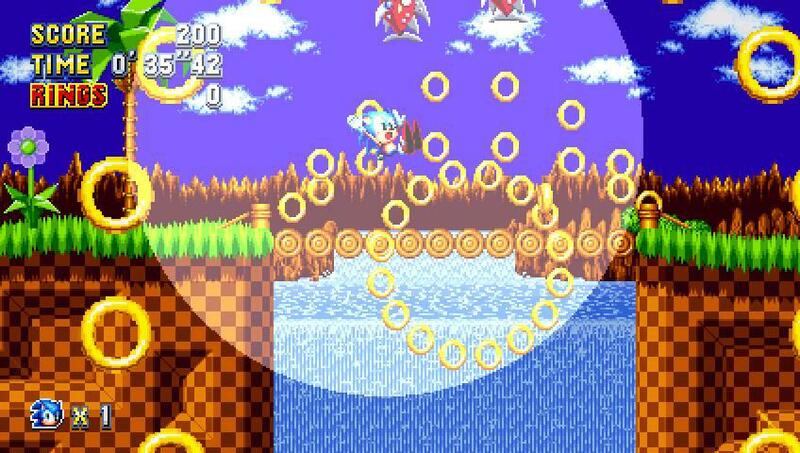 The simplicity of Sonic Mania works. And I mean it really works. Pretty much from the start, you just go. And although I hit a few snags in my time with it, occasionally forcing me to backtrack to see if I could get a preferred route to the end of a few of the courses, I just kept going. And it was fun. To go back to the earlier point, I think it’s pretty insane that the developers have had to set the clock back about twenty-five years to get the mechanics right. This is truly as 90's as you can get. 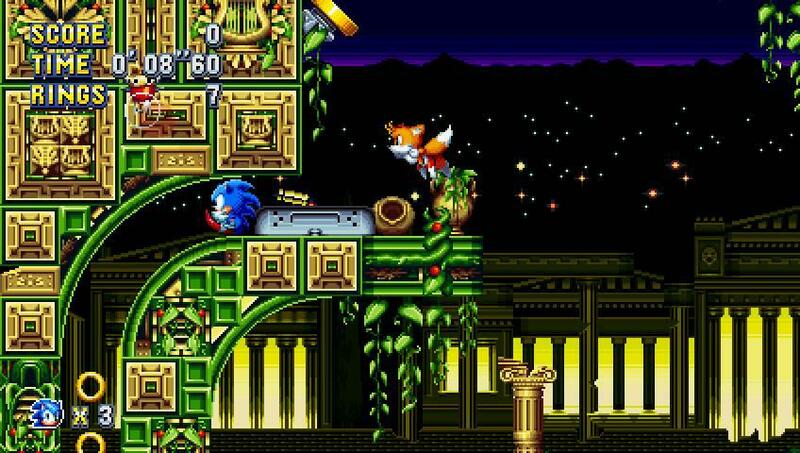 There is a level in which Sonic is standing atop Tails’s plane (I think it’s called The Tornado but it just says Sonic on the body so I mean whatever) and the player controls Sonic, which by extension controls the plane. I saw a similar pseudo-on-rails technique when I and some friends played all the way through Aliens vs. Predator at an arcade bar a few weeks ago. Of course there are probably a ton of modern games that use different techniques like this, but there is no denying that the roots of the design is undeniably old-school. That’s not to say that there aren’t any new-school design measures that don’t come into play, because there definitely are. Generally, these come in the form of boss fights and different navigational tools the player uses to get around the levels. Whether it’s boats, bouncy strings, giant plant leaves and springboards, and most importantly, multiple routes by which to reach the end of the level. Again, because I haven’t had a ton of experience with Sonic titles, I can’t speak to the absolute originality of the design, but I can say is that the developers have done the right thing here in creating something that puts new twists on old tricks. And what about those new old tricks? Well, there are quite a few. 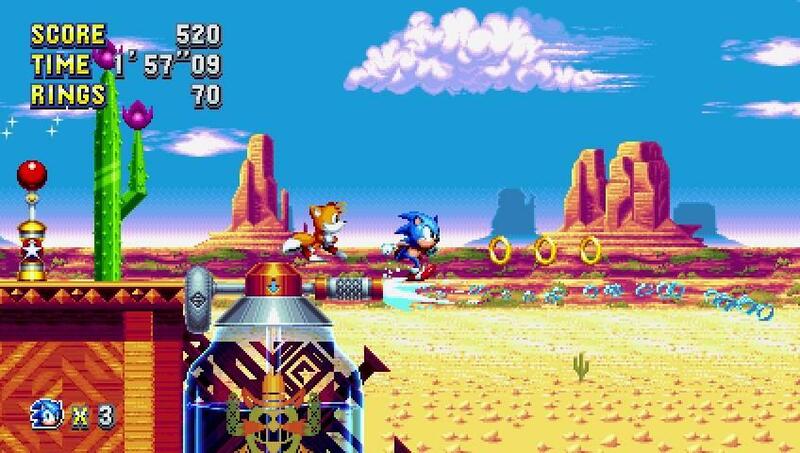 We get a variety of speed boost platforms familiar to those more entrenched in the 3D Sonic titles. We get navigable water levels that will sometimes frustrate infuriatingly, as is their need. We’ve got bonus levels (!) 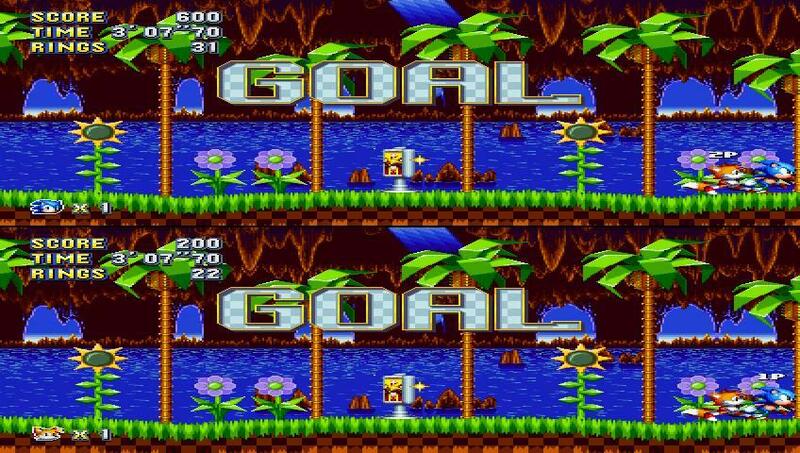 that take us back to 3D Sonic before 3D Sonic was even a thing. And, in general, we have many stages that utilize Sonic’s strength in different ways each and every time they’re played through. The final major component in gameplay is the boss battle. Each stage is split into two acts, and the player has to battle two bosses per stage. 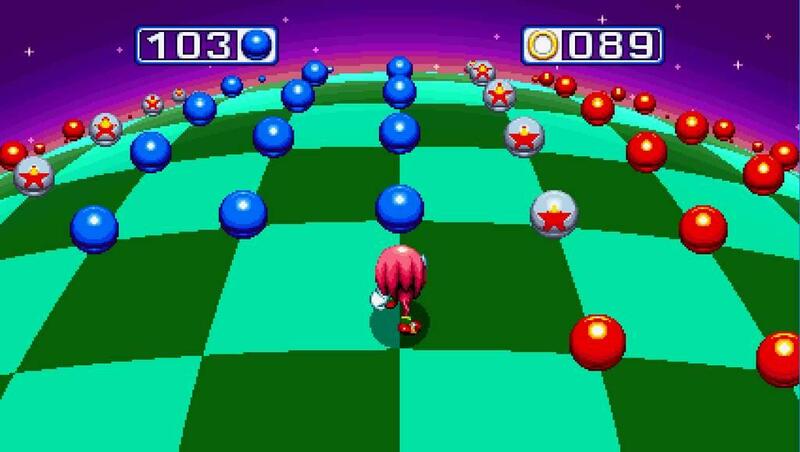 It’s the usual playthrough here, just morph Sonic into a ball by jumping, and hit the boss enough times to defeat it. Occasionally this method is subverted. 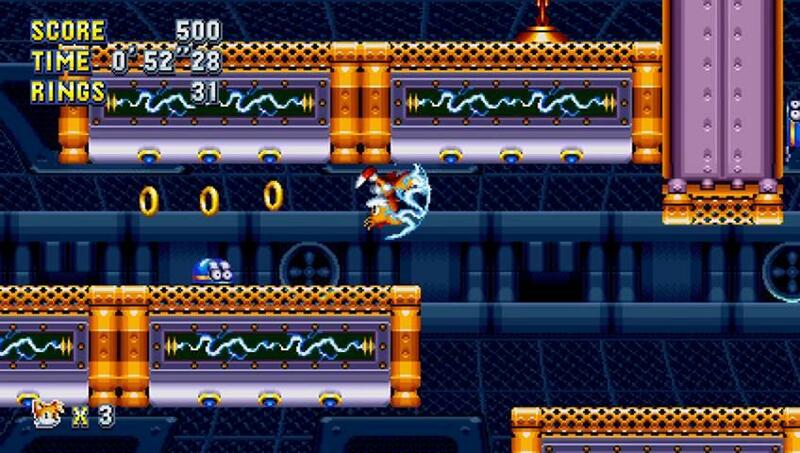 In one stage, the player has to run past the boss and jump to avoid weapons fire, dashes, and spike walls. In times like these, the tension ratchets up to ten. 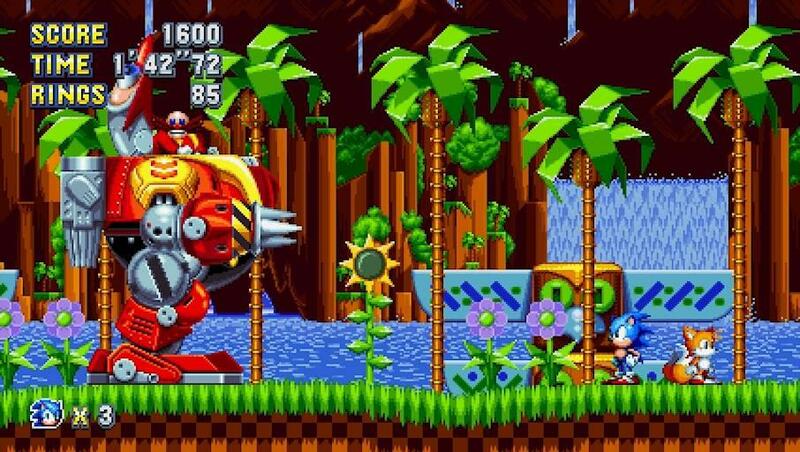 The battles no longer have the player running around the stage dodging light beams from Eggman’s (or Robotnik, it’s not entirely clear which iteration of the antagonist is in this one) vehicles or those of his lackeys. 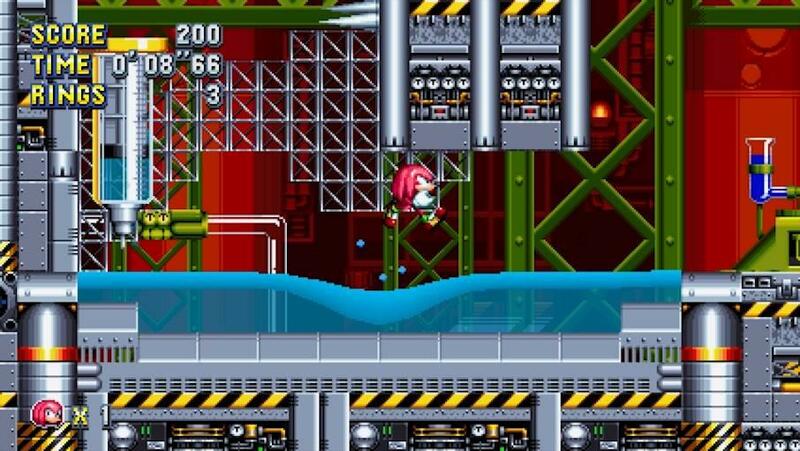 Stage environments also play a role in how Sonic defeats the bosses, sometimes having him fly from one screen to the other to bounce a boss on spikes that hurt it further. What’s best about the boss fights is that they drive the narrative forward with each bout. And that brings us to the story. Without spoiling too much, the gist is that Robotnik/Eggman has some device with which he wants to conquer the world, and Sonic and pals have to stop him. The transition to each stage mostly occurs through cutscenes, which grant the player only the most useful information in about the thirty seconds that occur in each. My favorite aspect about the transitions is actually the trippiness involved in some of them. Overall, the story is as simple as the game. As the gameplay can be analogized as “move forward”, the story can be analogized as “do the thing”. Seriously, it’s that simple. And that’s the beauty of Sonic Mania. It’s not weighed down by a convoluted story with way too many characters to keep track of. There are no out-of-place romances, and, the thing I’m most grateful for: there are no obscenely long loading screens. 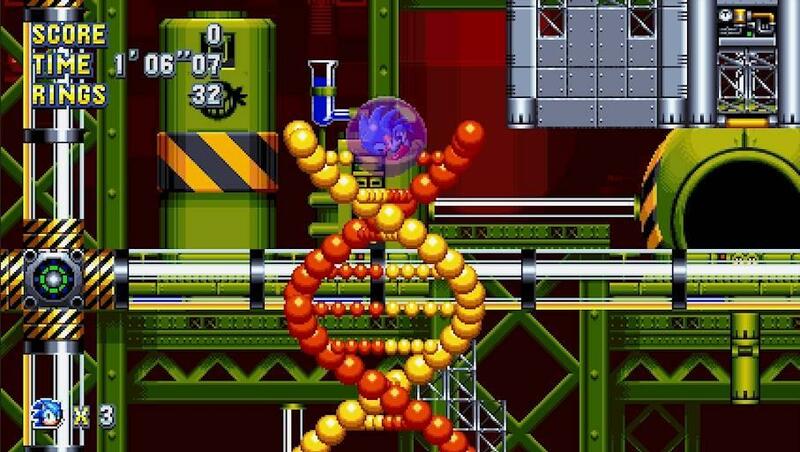 If there is one thing that I don’t really care for in Sonic Mania though, it’s this: the lives system. The lives system is the most old school aspect here, and it’s the one that the developers could really have done away with. The default amount of lives is three, and once those are out, it’s game over. 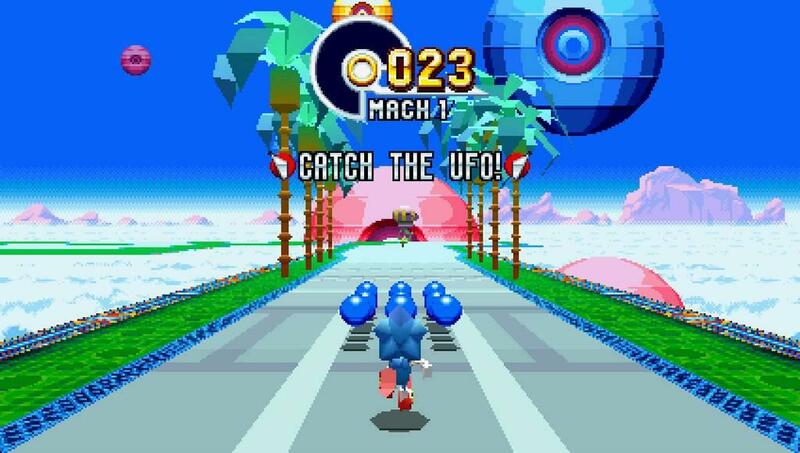 The thing is, all the player has to do is go back to the title screen and restart the stage. Let’s say if, in one act, there are a lot of bottomless pits that the player keeps falling in; the lives system diminishes the gameplay into an annoying toil that the player has to restart over and over again. There is no exception to this, even when the player is on the final boss of the second act of a stage. It’s frustrating to have to start the whole stage over because of one mistake, and yet not have that many consequences as a result of outdated mechanics that may have run its course by now. Sonic Mania is a franchise’s identity found. It’s simple, it’s straightforward, it’s what Sonic should be. The developers have gone back to the drawing board and have given new life to a franchise hat was on its last legs just a few years ago. This may be new life into the series, and here’s hoping that it continues to be so.